As always, David McCullough comes through again, bringing to life an episode of history that has dulled over the years. 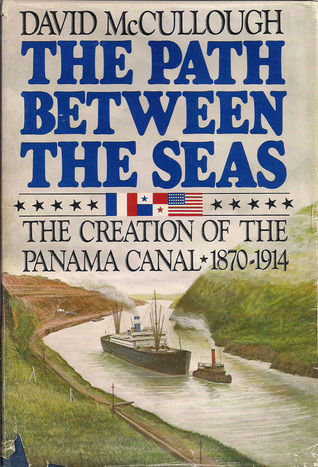 The building of the Panama Canal was an international feat spanning decades since it was first discussed in the early 19th century. Much of the project transpired as a result of fate whereas, at least 4 other locations were seriously considered for the breach of the new world joining seafarers east and west. Upon completion of the work in August of 1914, the international grand opening celebration was spoiled by the onset of the "Great War", another twist of fate. As I was in the final chapters, it occurred to me as amazing that it took exactly four hundred and twenty-two years for Christopher Columbus to finally achieve his initial objective. Even if you happen not to be a history buff, I definitely recommend this book and this author! Sign into Goodreads to see if any of your friends have read The Path Between the Seas.